In February 1943, a group of journalists-including a young wire service correspondent named Walter Cronkite and cub reporter Andy Rooney-clamored to fly along on a bombing raid over Nazi Germany. Seven of the sixty-four bombers that attacked a U-boat base that day never made it back to England. A fellow survivor, Homer Bigart of the New York Herald Tribune, asked Cronkite if he'd thought through a lede. "I think I'm going to say," mused Cronkite, "that I've just returned from an assignment to hell." During his esteemed career Walter Cronkite issued millions of words for public consumption, but he never wrote or uttered a truer phrase. Assignment to Hell tells the powerful and poignant story of the war against Hitler through the eyes of five intrepid reporters. Crisscrossing battlefields, they formed a journalistic band of brothers, repeatedly placing themselves in harm's way to bring the war home for anxious American readers. Cronkite crashed into Holland on a glider with U.S. paratroopers. Rooney dodged mortar shells as he raced across the Rhine at Remagen. Behind enemy lines in Sicily, Bigart jumped into an amphibious commando raid that nearly ended in disaster. The New Yorker's A. J. Liebling ducked sniper fire as Allied troops liberated his beloved Paris. The Associated Press's Hal Boyle barely escaped SS storm troopers as he uncovered the massacre of U.S. soldiers during the Battle of the Bulge. 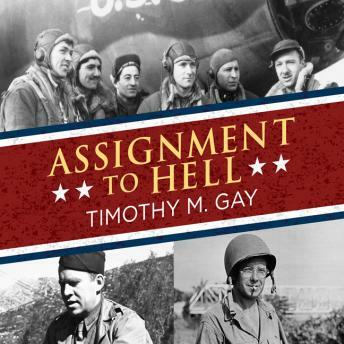 Assignment to Hell is a stirring tribute to five of World War II's greatest correspondents and to the brave men and women who fought on the front lines against fascism-their generation's "assignment to hell."